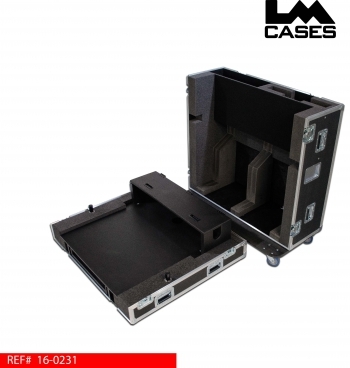 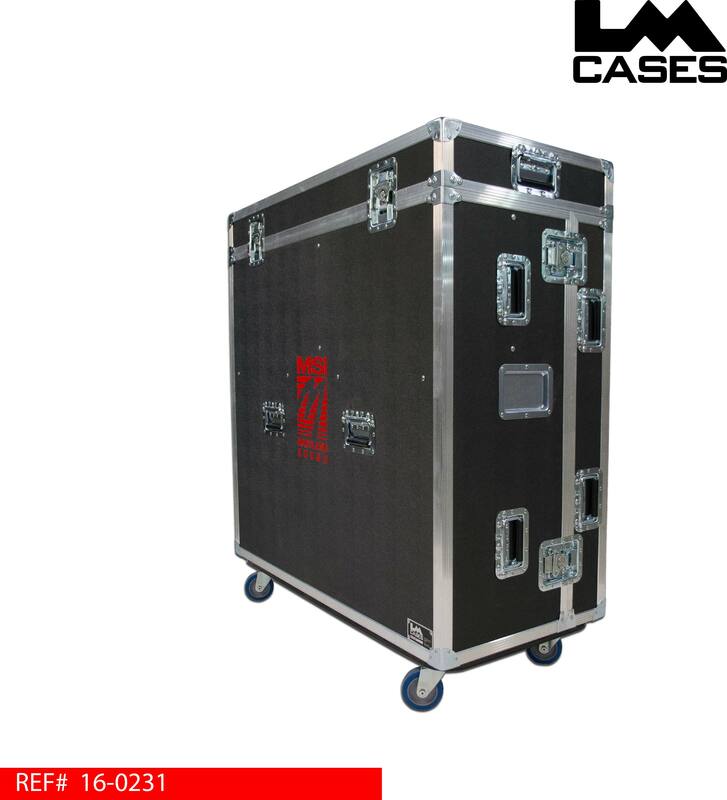 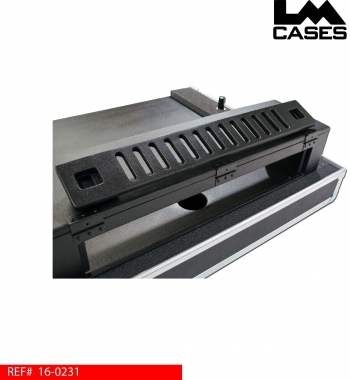 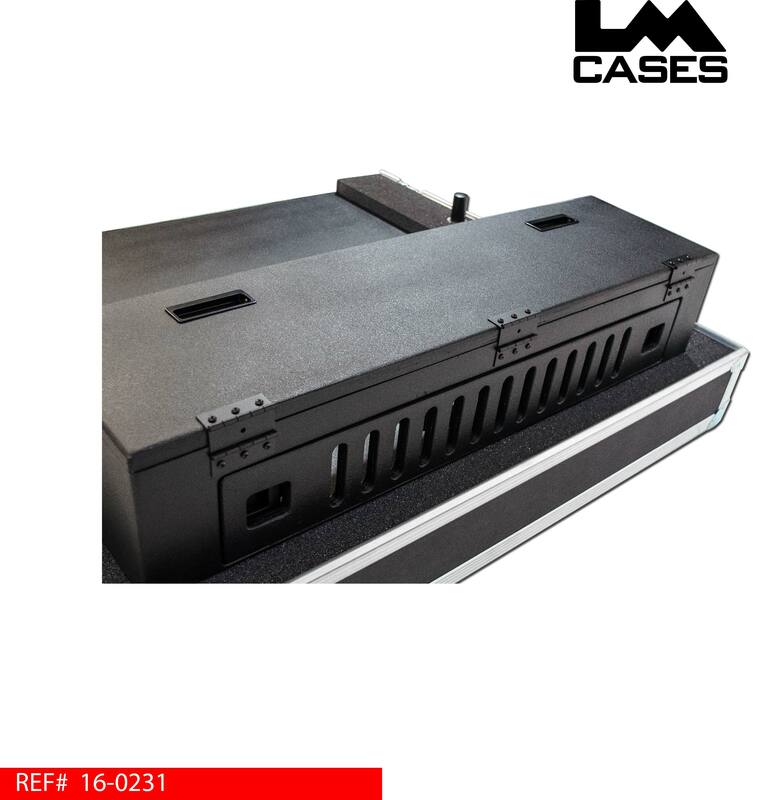 This case was built for Maryland Sound International to hold an Avid S6L-24 mixing console. 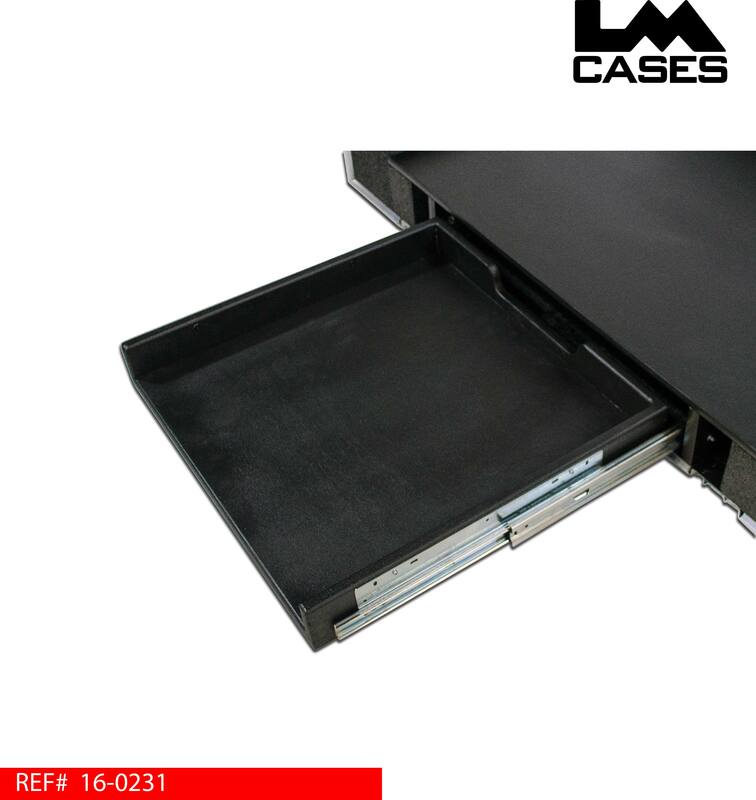 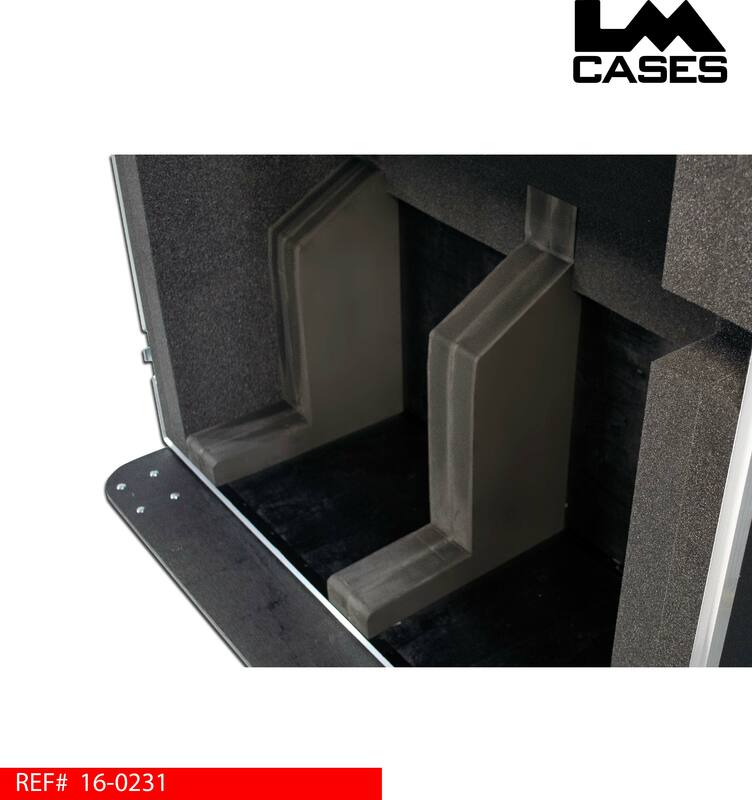 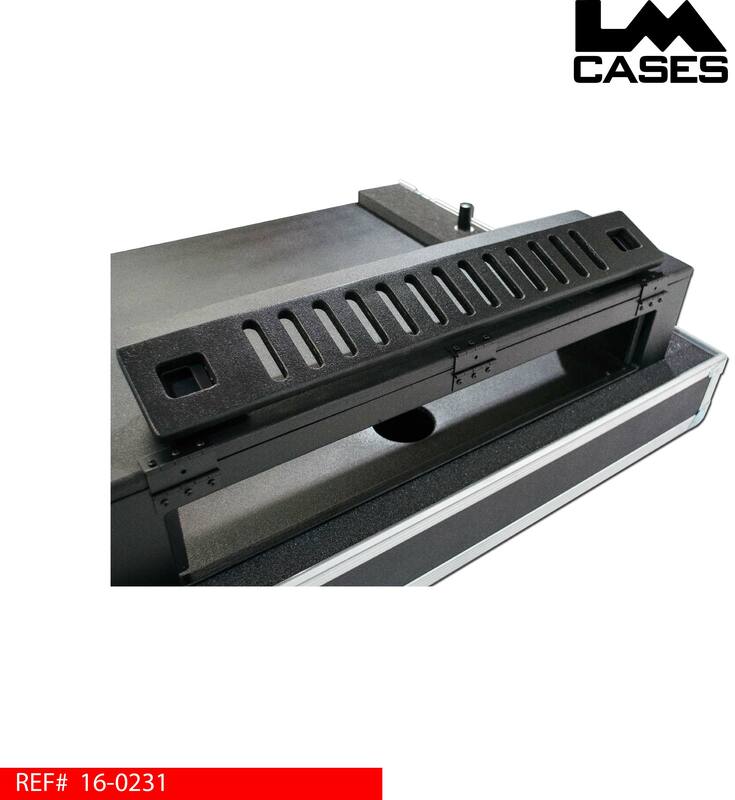 The case interior is designed as a mirror image of console, the foam follows all the contours of the desk for the ultimate support in any orientation. 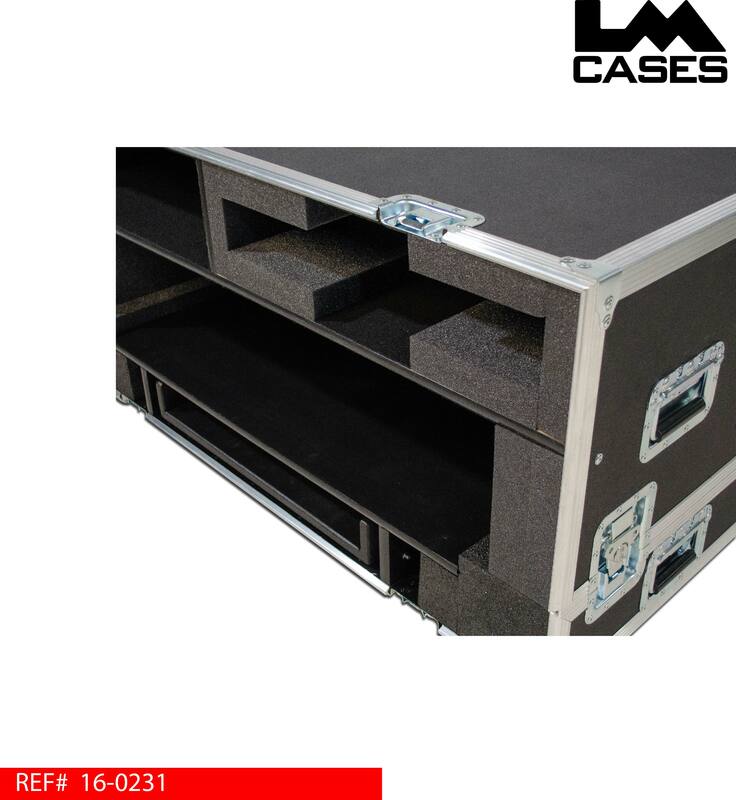 A custom doghouse is included for a finished look in addition to two monitor mount posts allowing monitors to be positioned on either side of the console.